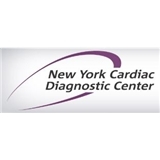 New York Cardiac Diagnostic Center (New York) - Book Appointment Online! The New York Cardiac Diagnostic Center, founded by New York cardiologist (heart doctor) Steven Reisman, M.D. (a best in class top rated NYC Cardiologist) in 1987, was the first outpatient office in New York City offering Nuclear Cardiac Stress Testing with either exercise or with pharmacologic (Dipyridamole) testing for those who could not exercise. Dr. Reisman is a Cardiologist with nationally recognized expertise in using nuclear cardiac testing in the early diagnosis of coronary artery disease. We have affiliations with all the major hospitals in New York City. Dr. Reisman and his staff are top notch. Excellent choice for a diagnostic testing center. They accommodated me without question even as I had to run out and put money in the meter twice. This was an evening appointment and I couldn't have asked for more. Highly recommend!